Congratulations to Courtney D. English of the Atlanta Board of Education, who has just been unanimously elected as the next Board Chair of the Board of Education in Atlanta. The elections were held Monday afternoon during the board meeting, where six new members and three returning members were sworn into office to serve four-year terms. Courtney D. English was sworn in as the new board chair and Nancy M. Meister as vice chair, each of whom will serve in their leadership position for two years. Courtney D. English, was elected to the Atlanta Board of Education in 2009 at 24 years old; and was at that time, the youngest person to be elected citywide in any capacity in the city of Atlanta’s history. Since taking office, Courtney has championed parental choice and school autonomy; increased rigorous course offerings throughout the district; overhauled the teacher evaluation system; and instituted a number of policies to clean up years of administrative mismanagement, including a widespread cheating scandal. Courtney is a native Atlantan, and proud graduate of Frederick Douglass High school. He is a graduate of Morehouse College, where he received his Bachelor of Arts in Political Science, and was set to graduate from Columbia University’s Teachers College with a Masters of Arts in Organizational Psychology in May 2013. 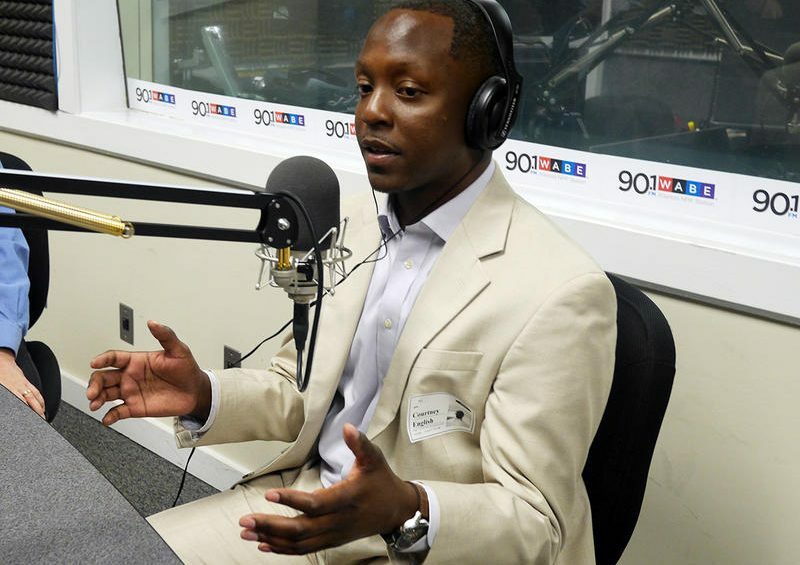 Prior to his election, Courtney was a founding teacher at Atlanta Public School’s B.E.S.T. Academy, the first all-male school in the city of Atlanta in 60 years. Courtney actually taught seventh-grade social studies in the same room he took seventh-grade social studies as a student. Congratulations to Courtney English and his family, for helping to make APS a better place for our students.